Queenstown SW11 Handyman Painting & Decorating | Quality Property Care Ltd.
Do not forget to use our appropriate maintenance service! It is competitive and cheap, conducted to all specifications in security measures during fixes and repairs. Plus, we work 365 days per year, with no exceptions for weekends or holidays! Call us on 020 3746 4287 and get further information about our reliable property maintenance company right away! *All prices are for labour only and do not include any materials or other additional expenses. Rates are final with no hidden charges added. *All necessary tools and equipment will be provided. Quality Property Care Ltd. technicians do home plumbing which includes fixing leaking taps and pipes, repairing toilet flush and cisterns, unblocking pipes, unblocking toilets, basic plumbing in bathrooms and kitchens, installing washing machines, replacing taps and washers, dealing with bleeding radiators. For your business we can repair leaks and water damage, unclog urinals and pipes, deal with toilet installation along with a special service account tailored for your needs. For leased properties we can replace sinks and basins, replace waste disposal units, re-seal baths and shower trays all of this with a guaranteed satisfaction and full insurance coverage. Before more than 15 years, Quality Property Care Ltd. realised how often the people and businesses in Queenstown SW11 needed somebody to do the odd jobs which they couldn’t cope with by themselves. 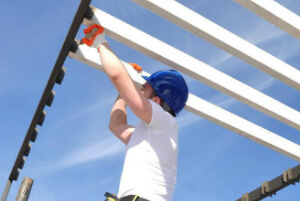 The idea of offering them an experienced odd job man London, grew into an existing business and a substantial team of highly experienced and multi-skilled handymen, who can offer a wide variety of services from small and simple tasks to big and complex ones. The main types of handyman jobs provided include: carpentry, plumbing, electrical services, decorating and painting as well as a wide variety of odd jobs. Our team of handyman can also do decorations, on private and public properties, handle household and office jobs and also execute decoration jobs on rented properties. For households we perform interior and exterior paint jobs, plaster and skim walls ceilings, re-seal bathrooms and kitchens, fit kitchens and bathrooms, re-tile and re-grout walls and floors and quite a lot more. For businesses we can offer weekend and evening slots, a wide range of interior and exterior paint jobs, we can put up shelves, upgrade or install doors as well as bathroom or kitchen facilities. It’s possible to fit revoked ceilings, construct and re-position partition walls and fully redesign offices, retails areas, receptions, toilets, meeting rooms and washrooms. We also work with rented facilities and flats where our handyman can fill in holes and cracks, touch up paint, help with end of tenancy refurbishment, and even do budget renewal painting jobs. Along with wallpapering and all sorts of cost effective and efficient services all London property agents and landlords. We bring all of our equipment, you are not required to supply anything. We come prepared with high ladders from 2 to 4 meters in height, drills, electrical equipment and plumbing and a full range of manual and power tools. The handyman can hang mirrors and pictures, fit curtains and blinds, put up shelves, mount TV’s and displays, change handles and locks, work on the fitting of doors and gates. We can also do flat-pack assembly, starting with furniture assembly, furniture repair, the installation of sliding doors, childproofing your home, moving and lifting furniture, the moving of heavy items and quite a lot more. You can also rely on us for general repairs, like boxing in, drought proofing, bath screen installation, fence and gate repair, easing jammed doors and windows as well the replacement of worktops. Decorating And Painting - including tiling, plastering and skimming, sealing/ grouting, wallboarding, etc. Interior and exterior painting. Choose Quality Property Care Ltd. Handyman and Get Special Price! 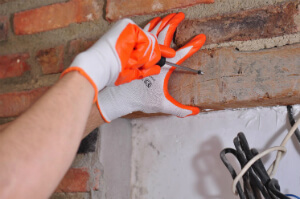 Obtain an effective handyman service in London, call 020 3746 4287 and ask for Quality Property Care Ltd. finest handymen. For fix-up-tasks or any unusual job in London, contact us at any time and get help instantly. We do standard repair work, property improvement and repair, interior and exterior painting, decorating, hanging and wall mounting and quite a lot more. Call anytime, get the finest handymen in London at a reasonable cost today!